Congratulations Lindy Michaels – winner of BN’s District Employee Award! 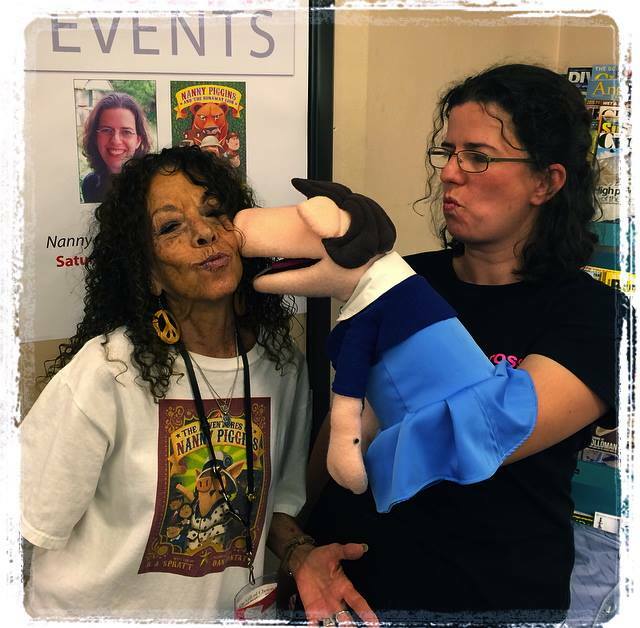 Lindy Michaels has just won Barnes & Noble’s District Empolyee Award for her untiring effort to ensure that every single child (and many of the adults) in the Los Angeles area owns a copy of ‘The Adventures of Nanny Piggins’. She’s sold over 5000 copies so far! As well as her invaluable support to Nanny Piggins on her recent LA tour. Lindy acted as driver, navigator, photographer, publicist, opening act and gelato finder. Thanks to her our trip to the US was a huge success. Well done Barnes and Noble for recognizing all her hard work. ← Nanny Piggins is now on twitter!